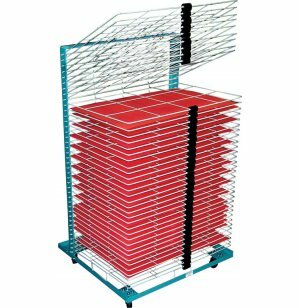 Port-O-Rack Drying Rack - 40 Shelves 20"x26"
This medium-capacity, portable 40-shelf unit can really hold a great many sheets while not overloading your space. One unique feature of the Port-O-Rack design is that it allows narrow, rigid products such as fiberboard, cardboard or plastic to extend beyond the individual shelves. 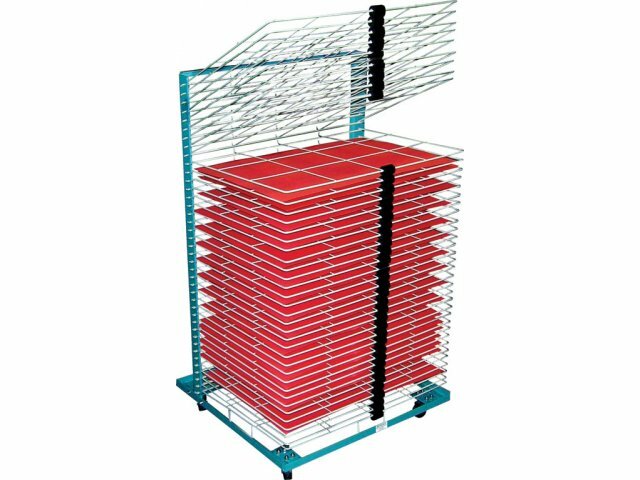 This drying rack features a new frame design for faster assembly. You will find that the 40 lightweight shelves snap into place quickly and easily. Rubber bumpers maintain the proper shelf spacing while all steel-construction provides a super-sturdy frame.